Boot camps are programs which can be very successful in addressing certain teen issues. – residential schools for troubled teens and boarding schools for troubled teens. For parents of struggling kids, boot camps for troubled teens are often one of the first solutions that come to mind. A short-term, high-intensity program is an appealing solution for a teen’s acting out – does it work? What’s the difference between residential programs and boot camps for troubled teens? Boot camps have several distinguishing features which separate them from other residential programs. Boot camps are usually short-term, less than a month in duration, with a great deal of emphasis on physical intensity. While some residential programs incorporate elements of discipline and physical training as well, these programs typically take a lot longer and include a more diverse approach than is found at boot camps. Boot camps evolved from the U.S. military tradition of new recruits being put through an intensive boot camp as part of their training. As such, boot camps for troubled teens usually uphold military codes and rules, such as regulation, discipline, and structure. Programs like wilderness programs, residential treatment centers, and therapeutic boarding schools typically bear little or no resemblance to military-style boot camps in this regard. What are the benefits of boot camps for troubled teens? If you are the parent of a troubled teen, you are likely dealing with an enormous amount of stress. You might feel as though you live and die by the mood swings or behaviors of your unpredictable child. By sending your son or daughter to a boot camp, you and your whole family will gain a much-needed reprieve from the exhausting day-to-day struggles of raising a troubled teenager. In addition to the benefits of time away from the family, your son or daughter can also experience change during their time away. 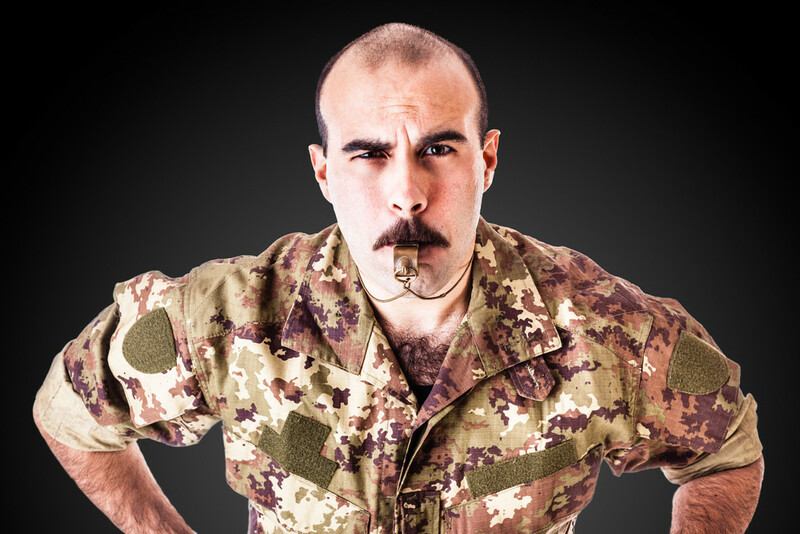 In most boot camps, discipline, structure, and responsibility are emphasized above all else. If your teen has been acting irresponsibly or trampling all over the rules and disrespecting your parental authority, a boot camp can provide a “hard reset” in regards to this behavior. A good boot camp will provide your teenager with a bit of a system shock. They will be thrust into a communal living arrangement with several other troubled teenagers and forced to adjust to an abrupt change in their lifestyle. They will be forced to do without most of the amenities and luxuries to which they have become accustomed. No more cell phones, TV, computers, etc. Instead, they will spend their time learning about the impact of their actions, respect for authority, and the importance and value of self-discipline. What kinds of issues do boot camps address? Boot camps are programs which can be very successful in addressing certain teen issues. It’s important to make sure that you’re sending your kids here for the right reason though, as boot camps aren’t the right solution for all teenage problems. As the parents of a teenager, you likely already know that the teenage years are tumultuous for even the most well-behaved young people. If your kid has started taking things a bit too far, however, it might be time for boot camp. While it’s entirely ordinary for teenagers to begin to express themselves and seek their own identity, outright defiance can become a serious issue. If your teenager is refusing to comply with your household rules, school discipline, or is even on the verge of getting in trouble with the law, their rebelliousness has likely taken a turn for the worst. Boot camps are great at breaking teenagers of this sort of troublesome attitude. Boot camps are also great for teenagers who may have fallen in with the wrong crowd. In this case, you might have noticed your son or daughter being vague or dishonest regarding their whereabouts and who they’re hanging around. When you find out where they’ve been or what they’ve been doing, it can be shocking to find out they were with those troublemakers from school, doing God knows what! In this case, breaking up their friend circle and interrupting the influence of troublesome kids can be extremely important. This is exactly what a boot camp provides. Regardless of what your teenager is going through, it’s important that you take the time to reach out to them and try to understand what’s going on. Boot camps can be a big mistake if your teenager is suffering from deeper psychological issues or behavioral disorders which require therapeutic intervention. Talk with experts, do the research, and, above all, talk with your teenager and try to understand what’s really going on before you do anything. When should I consider sending my teenager to a longer-term, therapeutic boarding school? Therapeutic boarding schools are much different from boot camps. While boot camps provide a sort of shock to the system for teenagers who are acting out, the therapeutic process at a boarding school is much more in-depth, long-term, and aimed at a much more drastic overhaul of a teenager’s behaviors. For teenagers with real psychological issues, particularly trauma, therapeutic boarding schools are the best solution. If you have taken your teenager to therapy and they have been diagnosed with behavioral disorders like ADD, ODD, RAD, depression, or anxiety (just to name a few), they will not be helped by a boot camp. In fact, they could have quite an adverse reaction and things could get dangerously worse. In a therapeutic boarding school, your teenager will be provided with academics, therapy, and a complete support system. These programs are also much longer term than boot camps. By placing your teen in a comprehensive therapeutic environment for a long period of time, they are much more likely to experience long-term success. Teenagers can’t undo serious behavioral issues in a short period of time. It takes a lot of work and support, which is exactly what therapeutic boarding schools offer. If your teen is suffering from more than just a sudden rash of acting out or defiance, therapeutic boarding schools can provide a life-long change, addressing deep-seeded issues in a safe and controlled environment. Should you need help finding affordable boarding schools, therapeutic boarding schools, schools for troubled teens or faith-based boarding schools, please let us know. The best therapeutic programs and schools provide treatment for troubled teens. This site includes a list of best therapeutic boarding schools, best residential treatment programs for teens, best wilderness programs, outdoor therapeutic and adventure therapy programs, and programs working with troubled teens. Boarding Schools, Emotional Growth Schools and Therapeutic Boarding Schools provide supervision and counseling for at-risk teenage boys and girls. Residential Treatment Centers offer clinical treatment with both academic and behavioral support, plus medication management and medical monitoring. They treat adolescents with serious psychological and behavior issues, are highly structured, and they offer recreational and adventure activities for troubled teens. If you are searching for troubled youth homes, troubled teen schools or troubled teen boarding schools, you have found a list of them. Homes for troubled teens and boarding schools for teens don’t typically offer teen counseling and therapy, but these programs do. Among the top therapeutic schools, our list of therapeutic boarding schools shows the best therapeutic schools with counseling – also referred to as “schools for troubled teens”. Some troubled teen schools, residential treatment programs for teens and residential treatment centers can be affordable. These boarding schools can help your teenager who is defiant, breaking laws, or otherwise having bad behavior. Boot camps are programs which can be very successful in addressing certain teen issues.